Nissan is known the world over as the go-to brand for people looking for a robust SUV. The Japanese automaker’s global SUV portfolio boasts of legendary nameplates like the Patrol, X-Trail and Qashqai to name a few. 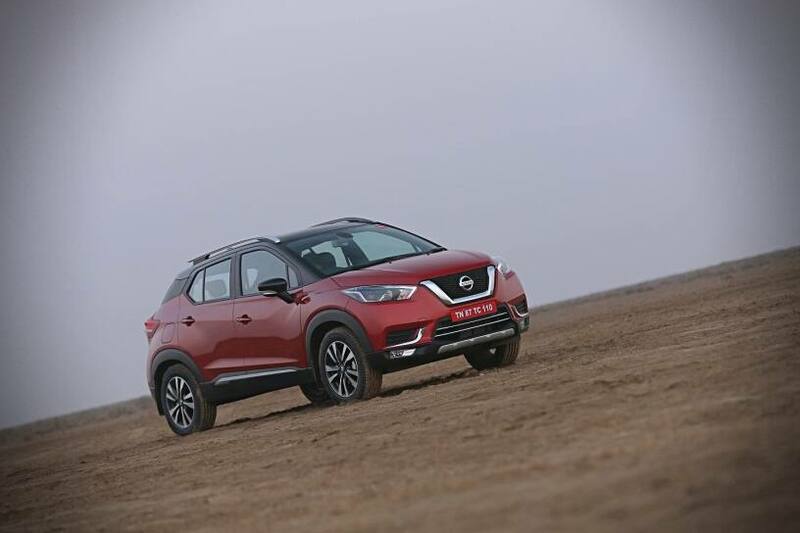 Pooling its global know-how and keeping Indian tastes and preferences in mind, Nissan has developed its latest SUV, the New Nissan KICKS. Here are the key factors that make the Nissan KICKS a great offering for buyers looking for a premium SUV. The design is a unique selling point (USP) for the Nissan KICKS as it breaks away from traditional boxy styling of SUVs in India. So, you get the intimidating road presence, commanding seating position, higher ground clearance of 210mm and easy ingress and egress that buyers expect from an SUV. KICK-ing the style factor up a few notches is Nissan’s global V-Motion design that emphasises as much on form as function. The chunky chrome front grille carries the family look which makes the SUV unmistakably Nissan. The dramatic styling runs through the side with flared wheel arches and sharp crease that seamlessly blends into the boomerang tail lamps. The butch SUV rides on 17-inch machined alloy wheels that not only look good, but are ready to take on all kinds of terrain. Adding some pizzazz to the already good-looking SUV is the option of dual-tone colour schemes. All these factors make the Nissan KICKS a head turner. On the inside, the KICKS’ cabin outclasses its rivals with the overall quality and premium feel. It is the only SUV in its segment to get a leather-wrapped dashboard, door pads and seats, unlike the leatherette seat-equipped competition which claims to have 'full-leather interior'. The diamond pattern stitching on the contrasting tan and black seats looks especially inviting. The interior not only looks good, but the well-bolstered seats offer superior comfort as well. Making the cabin plusher is the soft-touch plastic on the dashboard that puts the Nissan KICKS in league with European styled SUVs. For those who are looking at customizing the interiors further, Nissan KICKS offers Urban, Style and Essential customisation packages to suit your style. The design also plays its part in adding to the sense of sophistication. The chrome and silver accents along with the 8- inch touchscreen add to the superior feel of the already well-equipped cabin. NissanConnect is the Japanese automaker’s telematics service that offers over 50 functions. These include live tracking, service booking and history, locating your car, trip analysis, towing alert and speeding alert among others. All this vital information can be tracked with the convenience of a smartphone app. Live location of the KICKS via Google Maps. The location can also be shared through messages. Indicates key parameters such as the status of the doors, low-fuel warning, status of the headlamps, over speeding (present speed) and geo-fencing alert (present zone). ‘Take a break’ alert sends notifications, if you’ve been driving for a long time. One tap contact with Nissan’s RSA (road-side assistance) via mobile phone. Taking things a step further, the Nissan Kicks offers an industry-first smartwatch connectivity where all the Nissan Connect apps can be accessed from the smartwatch. Traffic congestion is a problem in most major cities today - a problem which is only amplified when driving a big SUV. To tackle such situations, the Nissan KICKS comes with Around View Monitor which gives you a 360-degree bird’s eye view of the SUV. This is not only a boon while trying to take tight U-turns on crowded roads, but also helps while parking in tight spaces. Simplifying driving in city traffic is the Brake Assistance feature, to avoid those sudden roll-backs on inclines. Further enhancing safety are dual front and side airbags, ABS and EBD. The onboard vehicle’s dynamic control (VDC) modulates braking application for stopping the KICKS in the shortest distance, as safely as possible. A stylish exterior, luxurious interiors and exhaustive list of intelligent features make the Nissan KICKS the most intelligent SUV in its segment.